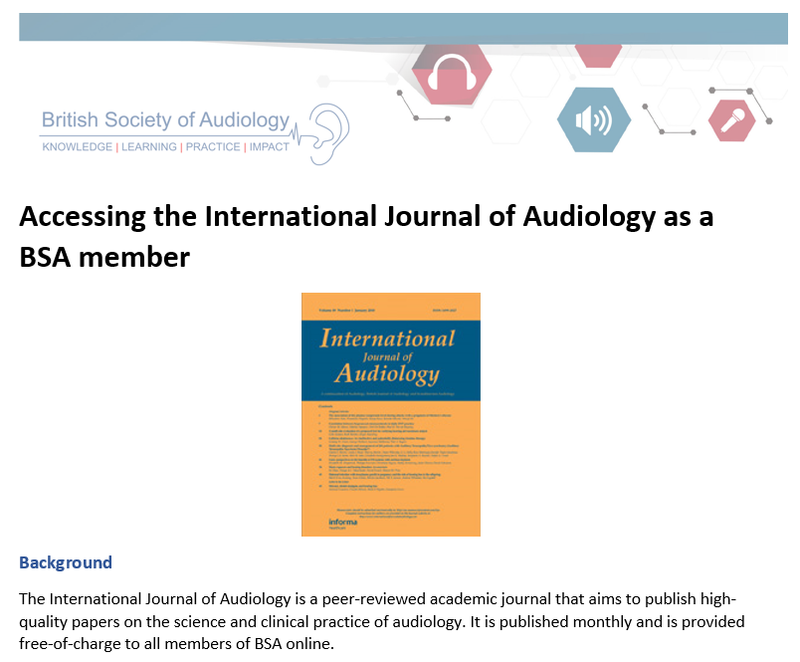 As a member of the BSA you are able to access the International Journal of Audiology online. If you are unsure of how to do this, please click on the guide below. If you have any problems with your access then please contact us.